• No persons within the company shall have authority to enlarge, vary or exclude any of these conditions. Any purported enlargement, variation or exclusion thereof shall be without effect unless specifically agreed to in writing by the company and the customer. • Stone properties: all stone products are natural products and are therefore subject to colour variation, natural veining and some light, medium or heavy pitting. The stone used for an order may differ in look and feel from any sample previously given to customer. It is common to find variation between and within slabs of stone from the same quarry. The Bespoke stone Ltd will always use matching slabs for any adjacent pieces of work in order to ensure consistency as far as possible; however, an exact match cannot always be guaranteed due to variations between and within slabs that are used. It is however unlikely that these variations will be clearly visible to the naked eye. Because of these factors we encourage customers to visit our factory or suppliers to choose their own individuals slabs. • All thickness quoted for slabs are nominal and no liability is accepted for reasonable variations of whatsoever nature. • Granite is by its nature a very dense and heavy material and weights in excess of 90 kilos per square metre. We therefore will not provide lengths in excess of 3metres due to the possibility of damage or failure. 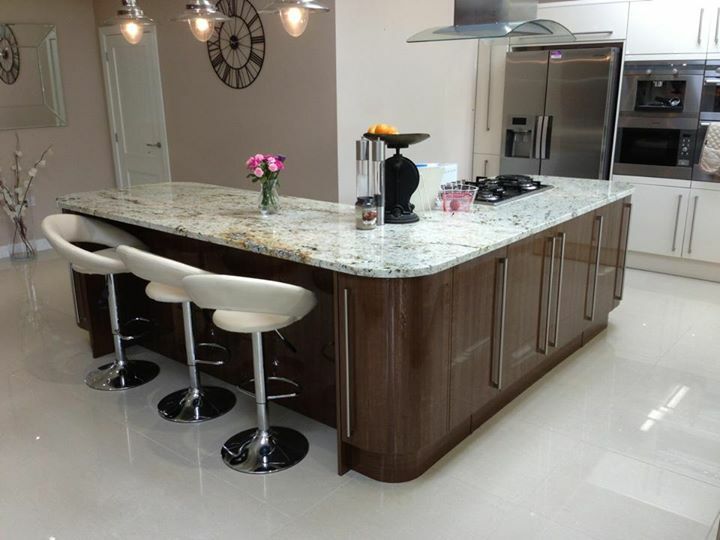 Bespoke stone Ltd therefore reserves the right to add joints were they deem necessary. • Joints: The Joints connecting pieces of stone are sealed using epoxy or low modular curing silicone sealant. The joints produced generally vary between 2-4mm thick, as acceptable to industry standard. This allows for a strong joint whilst still remaining unobtrusive. • Bespoke stone Ltd will mix the sealing products for the joints to provide, what they consider, the closest matched colour to your stone. • Cancellation charges will be incurred if works have already been undertaken before the cancellation takes place. Therefore moneys already paid will be refunded less the charges reflecting the costs to the company for any work already undertaken. • Delivery/installation and completion dates mentioned are approximate only and not of any contractual effect and the company shall not be under any liability to the customer in respect of any failure to deliver or complete on any particular date or dates. • Templates, drawings or measurements provided by the customer are at the sole responsibility of the customer. Any measurements given by a customer for final machining of stone must be in writing and signed. Bespoke stone Ltd assume no liability for incorrect dimensions. Any alterations to the template after work has been undertaken may incur extra charge. 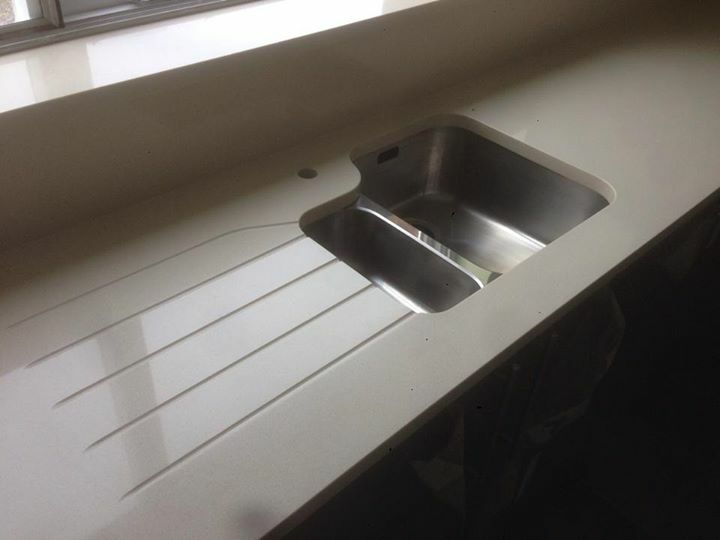 • Customers are responsible for removal of old worktops and adequate support for some sinks unless otherwise agreed. If fitters need to carry out extra works on arrival an extra charge may be incurred, these will be discussed with customer prior to any work being undertaken. • The customer is to provide free uninterrupted floor and surface areas during the execution of work. Bespoke stone ltd will undertake any business with the up most care to customer properties but it is recommended that the customer remove all kitchen doors before fitting to avoid any possible damage and allow a clear access route to point of installation. • Quotations given are subject to change. The final price of the goods quoted is based upon the information provided by the customer, and is subject to any changes up to and including templating. Bespoke stone Ltd will inform and discuss with customers any changes to cost that may arise before proceeding with any work. • Any changes made after templating are not the responsibility of the company and any extra cost incurred by these changes is the responsibility of the customer. In particular, changes to worktop plans, dimensions, sinks, taps and hob cutouts amongst other things. • Templating/granite fabrication is not an exact science and slight tolerances in both overhangs and thickness may be observed. Bespoke stone ltd will endeavour to the best of their ability to keep these tolerances to a minimum, an industry standard 3mm tolerance is allowed for each measurement. • A representative must be present during templating to agree all relevant details such as overhang, edge detail, height of splash backs, joints etc and confirm acceptance of template specifications. • Payments – We normally require a non refundable deposit with order, this amount can vary dependant on product ordered, further payment due after templating completed, please note delay in this payment will delay installation of surfaces, once cutting has started no refunds will be possible. • Bespoke stone Ltd shall be under no liability in respect of any defect arising from fair wear and tear, wilful damage, negligence, misuse, abnormal working conditions, alteration or repair of the goods. The property of the goods shall not pass to the customer until Bespoke stone ltd has received full payment. • Any claim by the customer based upon defect, quality or failure to correspond to the description must be notified in writing to bespoke stone Ltd within 5 working days. • The polish to recess drainers and profiles will always be of good quality, due to the different machinery, grits and pressures used the finished polish cannot be guaranteed to be identical to the surface. 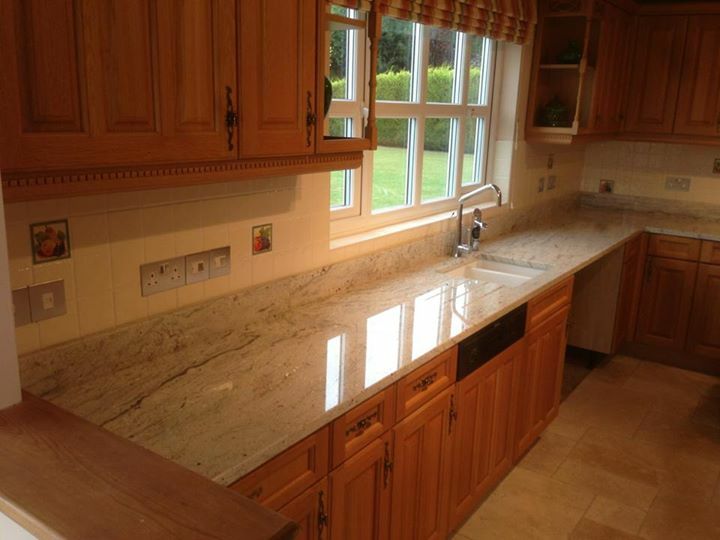 • Materials – Granite is a natural product that is created in the ground over millions of years. It is therefore natural to expect variations in shading, veining and finish. 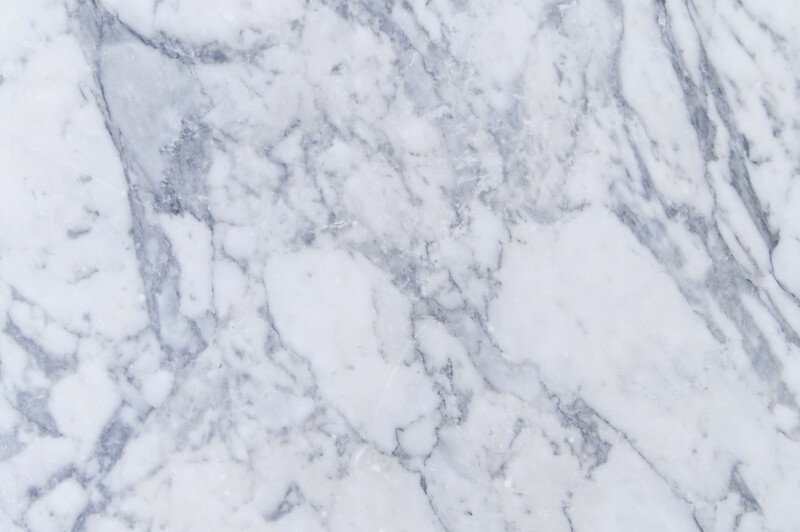 In some materials, imperfections, “pitting” and even fossils can be apparent; these are in no way considered faults and are part of the natural beauty of granite and marble. All granite, marble and other materials are sold subject to natural variations in colour, shade, veining, fissures and vents and the amount of brecciation; they are stopped, filled, reinforced, etc in accordance with normal trade practices. Samples should therefore be looked upon as a colour indication only. When the stone is extracted from the quarry the blocks are not a standard size. If pieces required cannot be cut in one, we reserve the right to place a joint in the most appropriate position.